Divided into two distinct zones, a primary retail and cash desk/fitting room area, the plan of the 3500 SF boutique is organized around two important design elements: frame-like partitions of steel and glass infill, and a large cylindrical cash counter clad in stainless steel with a curved glass display case. 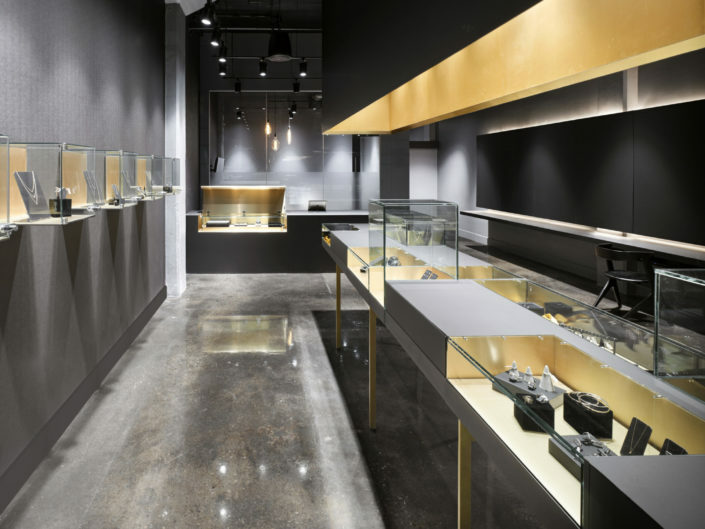 Highlighted with display fixtures and accented with a single red coloured light fixture, the three frame-like structures house the majority of the merchandise within the boutique. Dramatically centering the space while balancing the large display frames, the cylindrical form of the cash desk suggests the feminine – drawing one into the store with its sensual form. 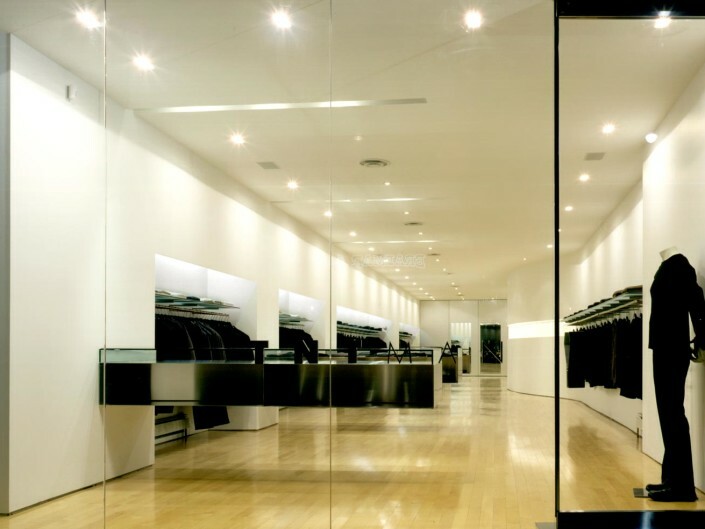 Illuminating the mannequin stands, a glass lantern is suspended between the fitting rooms and retail areas, offering a feature and transition between the spaces. 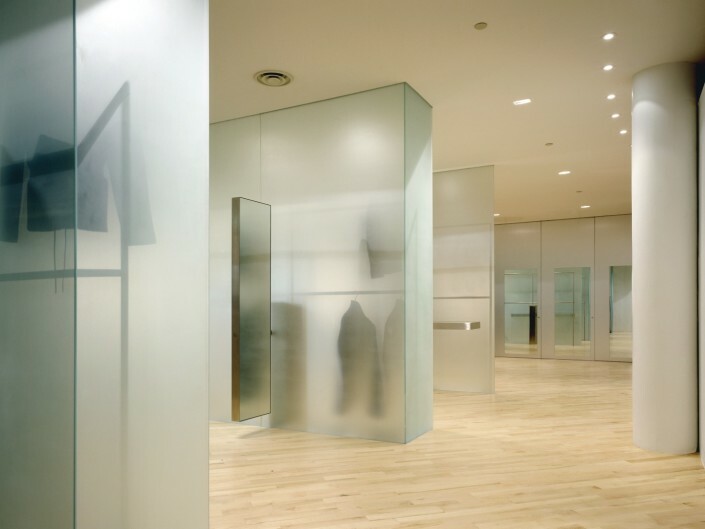 Ritualizing the experience of trying on clothes, the allure of the fitting rooms lies in amplifying this transformation through the design of the rooms themselves. 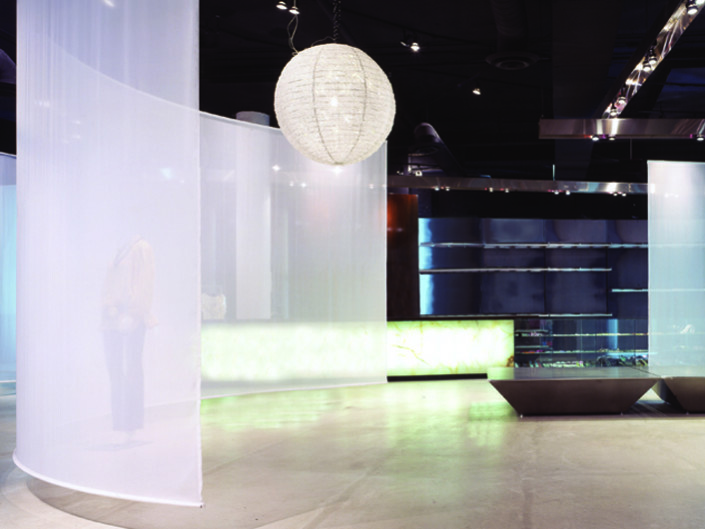 The combined effects of fluorescent and halogen fixtures balance the colour rendition of the clothing and create a unique experience distinct from the rest of the boutique.